Alban Maria Johannes Berg (February 9, 1885 – December 24, 1935) was an Austrian composer. He was a member of the Second Viennese School along with Arnold Schoenberg and Anton Webern, producing works that combined Mahlerian romanticism with a highly personal adaptation of Schoenberg's twelve-tone technique. 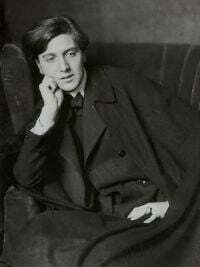 Alban Berg's musical philosophy was to translate poetry into music and theatre into musical action. He preferred that his music serve all actions at every moment to become an aid towards a spiritual reality in a corporeal world. Along with Schoenberg and Webern he was one of the pivotal composers of the early twentieth century. Berg was born in Vienna, the third of four children of Johanna and Conrad Berg. His family lived quite comfortably until the death of his father in 1900. He was more interested in literature than music as a child and did not begin to compose until he was fifteen, when he started to teach himself music. He had very little formal music education until he began a six-year period of study with Arnold Schoenberg in October 1904 to 1911, studying counterpoint, music theory, and harmony; by 1906, he concentrated on his music studies full-time and by 1907, he began composition lessons. Among his compositions under Schoenberg were five piano sonata drafts and various songs, including his Seven Early Songs (Sieben frühe Lieder), three of which were Berg's first publicly performed work in a concert featuring the music of Schoenberg's pupils in Vienna that same year. These early compositions would reveal Berg's progress as a composer under Schoenberg's tutelage. The early sonata sketches eventually culminated in Berg's Piano Sonata (Op.1) (1907–8); while considered to be his "graduating composition," it is one of the most formidable initial works ever written by any composer (Lauder, 1986). Schoenberg was a major influence on him throughout his lifetime; Berg not only greatly admired him as a composer and mentor, but they remained close friends for the remainder of his life. Many people believe that Berg also saw him as a surrogate father, considering Berg's young age during his father's death. An important idea Schoenberg used in his teaching was what would later be known as developing variation, which stated that the unity of a piece is dependent on all aspects of the composition being derived from a single basic idea. Berg would then pass this idea down to one of his students, Theodor Adorno, who stated: "The main principle he conveyed was that of variation: everything was supposed to develop out of something else and yet be intrinsically different." The Sonata is a striking example of the execution of this idea — the whole composition can be derived from the opening quartal gesture and from the opening phrase. Berg was a part of Vienna's cultural elite during the heady period of fin de siècle. Among his circle included the musicians Alexander von Zemlinsky and Franz Schreker, painter Gustav Klimt, writer and satirist Karl Kraus, architect Adolf Loos, and poet Peter Altenberg. In 1906, Berg met Helene Nahowski, singer and daughter of a wealthy family; despite the outward hostility of her family, the two married on May 3, 1911. In 1913, two of Berg's Five Songs on Picture Postcard Texts by Peter Altenberg (1912) were premiered in Vienna under Schoenberg's baton. The pieces - settings of unpoetic, aphoristic utterances accompanied by a very large orchestra - caused a riot, and the performance had to be halted; the work was not performed in full until 1952 (and its full score remained unpublished until 1966). From 1915 to 1918, he served in the Austrian Army and it was during a period of leave in 1917 that he began work on his first opera, Wozzeck. Following World War I, he settled again in Vienna where he taught private pupils. He also helped Schoenberg run the Society for Private Musical Performances, which sought to create an ideal environment for the exploration of unappreciated and unfamiliar new music by means of open rehearsals, repeated performances and the exclusion of all newspaper critics. The performance in 1924 of three excerpts from Wozzeck brought Berg his first public success. The opera, which Berg completed in 1922, was not performed in its entirety until December 14, 1925, when Erich Kleiber directed a performance in Berlin. The opera is today seen as one of his most important works; a later opera, the critically acclaimed Lulu was left with its third act incomplete at his death. Berg died on Christmas Eve 1935, in Vienna, apparently from blood poisoning caused by an insect bite. He was 50 years old. Berg's serialist colleague Anton von Webern held that "new laws asserted themselves that made it impossible to designate a piece as being in one key or another" (Webern 1963, 51), whereas musicologist Robert Fink has stated that all music is perceived as having a tonal center. Arnold Schoenberg's now famous prediction in 1948 that the public's resistance to atonality and "the emancipation of dissonance" would eventually diminish with repeated exposure held sway for nearly three decades. The move toward serialism and formulaic composition dominated the compositional landscape as a result. Berg's craftsmanship of serial techniques was viewed as a prime example of the potential popularity of serial composition. History, however, has proven otherwise. Musicologist Richard Turuskin's observation that the lack of an underlying "deep structure" born out of the subconscious (as with natural languages) led to a condition where the disconnect between the "content of the utterance" and the "manner of its delivery" becomes a constant irritant to those seeking to find meaning and pleasure in their encounter with music. This view is reinforced by Leonard Bernstein in his music/language analogy in the Harvard Lectures. Alluding to Schoenberg's serial methods, Bernstein states: "The trouble is that the new musical 'rules' of Schoenberg are not apparently based on innate awareness, on the intuition of tonal relationships. They are like rules of an artificial language, and therefore must be learned. This would seem to lead to what used to be called 'form without content,' or form at the expense of content—structuralism for its own sake." For some musicians the "new objectivity" that spawned atonal and hyper-intellectualized methods of composing with their emotionally arid characteristics, was antithetical to the philosophical legacy of their art form. Consider the views of early twentieth-century German composer, Paul Hindemith, regarding the state of modern music in the first half of the century: There are composers "…who flatly deny the ethic power of music, nor do they admit any moral obligation on the part of those writing. For them, music is essentially a play with tones, and although they spend a considerable amount of intelligence and craftsmanship to make it look important, their composition can be of no greater value, as a sociological factor, than bowling or skating." Hindemith's concern was echoed by other prominent composers who shared his lack of enthusiasm for the dissonant utterances of atonal music. In the historical view, neither of the extremes of prediction have come about. Atonality has neither replaced tonality, nor has it disappeared. There is, however, much agreement amongst many composers that atonal systems in the hands of less-talented composers will still sound weak expressively, and composers with a genuine tonal gift are capable of writing exquisite works using twelve-tone methods. In other words, both good and bad music can be created utilizing any particular system. At the end of the twentieth century serialism itself has been taken up by a few tonal composers as a modest replacement for the common practice tendencies of certain traditional forms to conform to certain tonal expectations. The legacy that Alban Berg leaves is his distinct ability to use very expressive nuances in the structured stylisms of the forms developed by the composers of the Second Viennese School. Perhaps, an example of this adaptation is his best-known piece, the elegiac Violin Concerto. Like so much of his mature works, it employs a highly personal adaptation of Schoenberg's twelve tone technique that enables it to combine stark atonality with more traditionally tonal passages and harmonies; additionally, it uses actual quotations of pre-existing tonal music, including a Bach chorale and a Carinthian folk song. The Violin Concerto was dedicated to Manon, the deceased daughter of architect Walter Gropius and Alma Schindler. In his opera Wozzeck, Berg utilized tradition forms (Sonata, Passacaglia, Rondo, etc.) in the opera's various scenes. This exemplifies Berg's craftsmanship in handling traditional forms within a modern harmonic context. Other well known Berg compositions include the Lyric Suite (seemingly a big influence on the String Quartet No. 3 of Béla Bartók), Three Pieces for Orchestra, and the Chamber Concerto for violin, piano and 13 wind instruments. Adorno, Theodor W. Alban Berg: Master of the Smallest Link, Translated by Juliane Brand and Christopher Hailey. New York: Cambridge University Press, 1991. Schmalfeldt, Janet. "Berg’s Path to Atonality: The Piano Sonata, Op. 1." Alban Berg: Historical and Analytical Perspectives, Eds. David Gable and Robert P. Morgan, 79-110. New York: Oxford University Press, 1991. Jarman, Douglas. "Dr. Schon's Five-Strophe Aria: Some Notes on Tonality and Pitch Association in Berg's Lulu." Perspectives of New Music 8(2) (Spring/Summer 1970). __________. "Some Rhythmic and Metric Techniques in Alban Berg's Lulu." Musical Quarterly 56(3) (July 1970). __________. "Lulu: The Sketches." International Alban Berg Society Newsletter 6 (June 1978). __________. The Music of Alban Berg. Berkeley: University of California Press, 1979. ___________. Countess Geschwitz's Series: A Controversy Resolved? Proceedings of the Royal Musical Association. 107 (1980/81). ___________. "Some Observations on Rhythm, Meter and Tempo in Lulu." In Alban Berg Studien. Ed. Rudolf Klein. Vienna: Universal Edition, 1981. __________. Lulu: The Musical and Dramatic Structure. Royal Opera House Covent Garden program notes, 1981. ___________. "The 'Lost' Score of the 'Symphonic Pieces from Lulu'." International Alban Berg Society Newsletter 12 (Fall/Winter 1982). Redlich, H. F. Alban Berg, the Man and His Music. London: John Calder, 1957. Monson, Karen. Alban Berg: a biography.'. London: Macdonald and Jane's, 1979. This page was last modified on 16 February 2019, at 22:19.